Second picket held on Oct. 14, 2017, Vancouver. Photos from the action, more on Facebook event page. Vancouver launches the Boycott HP campaign with an informational picket on August 26, 2017 outside Best Buy. 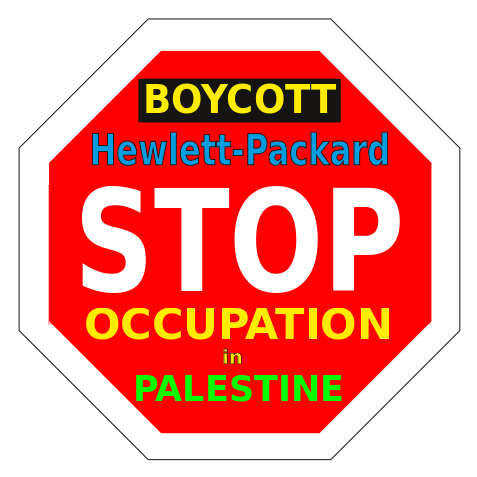 Hewlett Packard companies play a key role in Israel’s oppression of Palestinians. 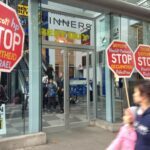 They provide technology, equipment and services to the Israeli military and government, including the ID card system that underpin Israel’s apartheid policies and its movement restrictions for Palestinians. 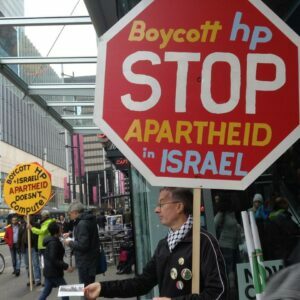 The international Boycott HP campaign has already seen 17 U.S. churches (representing 7 denominations) divest from the company and has also attracted support from student governments. Here is a video on our Facebook page for the Aug. 26 picket. Background Info: Hewlett Packard (HP) companies are known for their computers, printers, and ink cartridges but many people are unaware of HP’s role providing technology for Israel’s military occupation of Palestine and violations of Palestinian human rights. HP has been described as the “Polaroid of our times”, a reference to huge mobilisations against the use of Polaroid technology used for the South African apartheid regime’s passbook system. •	HP provides IT infrastructure and support to Israel’s Prison Service. 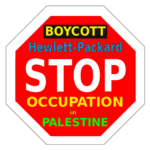 •	HP companies have contracts to provide information technology infrastructure to the illegal settlements of Modi’in Ilit and Ariel and also have a “development center” in another illegal settlement, Beitar Ilit. 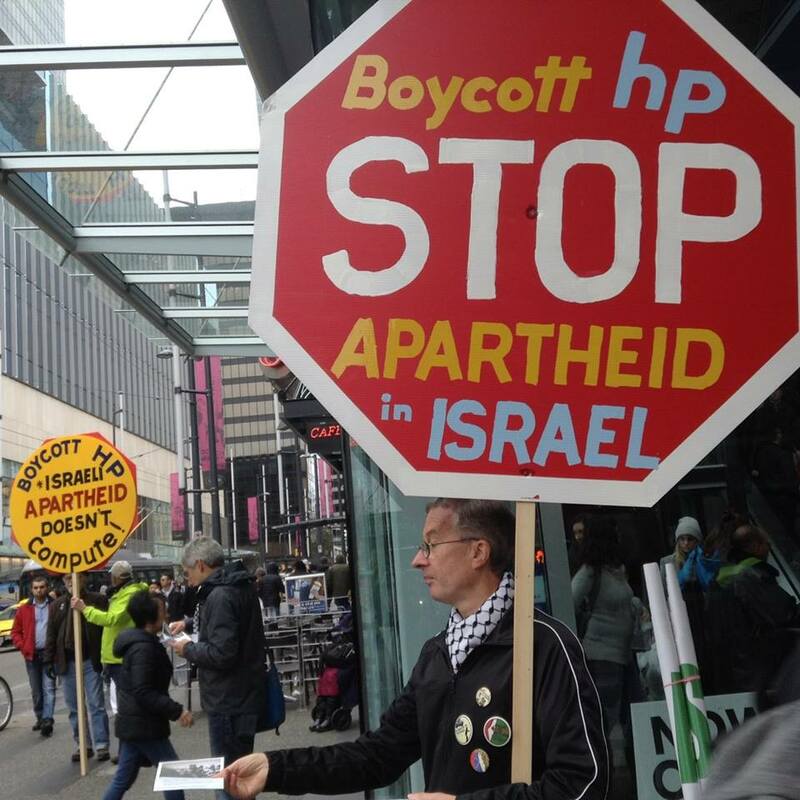 •	HP provides the biometric ID cards for Israel that form the basis of rampant and de facto discrimination in housing, employment, marriage, healthcare, education, and policing. Support human rights and go HP free! 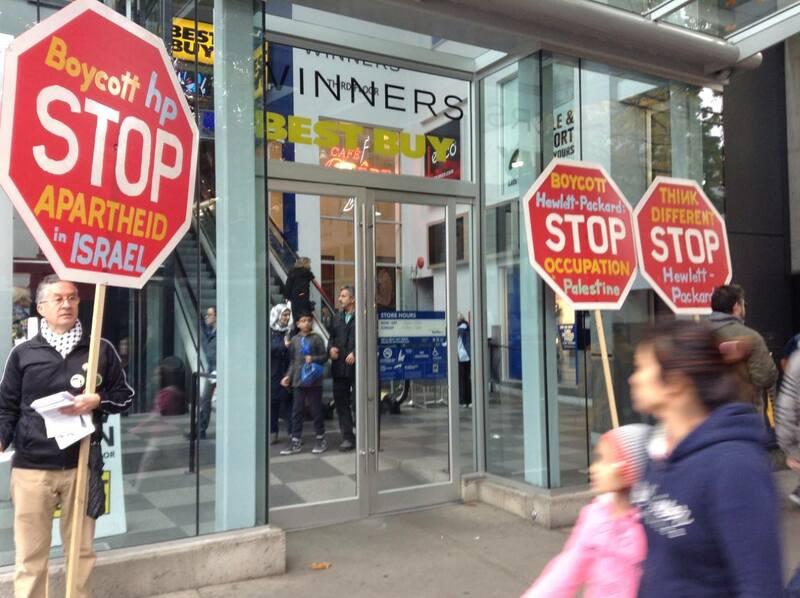 Make your back-to-school shopping Apartheid free! Check out the FB event page for details and photos.